I’ve just finished teaching the Post Graduate Certificate in Autism this week to a new cohort. Emotionally draining as always, and a simply amazing experience. I’ve never run the course without input from autistic academics, nor have I ever run the course without autistic students mixed together with their predominant neurotype peers. My belief is that autistic academics are integral to new autism research, to new learning opportunities, and to new advances in our knowledge and understanding of the autistic lived experience. I count myself as immensely fortunate and privileged to be in a position to work alongside autistic academics on a daily basis. I learn from those individuals on that daily basis, and my life would be considerably worse off without them. I can’t be proud of my students – I don’t have that right. They are wonderful because of their own work, not because of me. But I can celebrate the fact that they should be so, so proud of themselves. Those Post Grad students, Masters students, and Doctoral students who have completed their studies or are still engaged in them – many of those autistic students tell me that they were led to believe that they would never achieve academically. Some struggled hugely at school. Some were told – by their own educators – that they would never make it through school exams, let alone get to university. So, to be studying academia at the highest academic levels, and brilliantly leading the world in their own subject area – this, surely, is something to be proud of. I know many of those who have contributed to this blog – and would like to get to know them all. A very particular mention must go to Gill who I know won’t admit to being the amazing person who was the catalyst for this very idea, and who organised all of the blog entries and basically handed everything over to me along with the banner above to make my life as simple as possible – such is the star nature of Gill Loomes. Here’s to more caffeine based putting the world to rights Gill! This blog celebrates autistic academics. There are plenty more than this representation, of course. If anyone is reading this and wishes to be added to the blog, please do contact me. I am an independent autism advocate, mentor, researcher, and trainer. I have led small research teams developing a framework for ‘inclusive’ autism research, and in researching support for autistic students at university, barriers to learning for autistic students in further education, autism awareness in the UK police service, viva protocols for autistic doctoral students, and diagnostic pathways for autistic adults. I am a member of the editorial board of the Journal of Autism and Developmental Disorders. My book on autism theory has been well-received. Prior to working in autism I had a lengthy career in corporate risk management and as an insurance loss adjuster. It was when needing to better understand autism whilst line managing a colleague with Asperger syndrome at the Metropolitan Police that I took a Post Graduate Certificate in Asperger Syndrome (AS). I met the course leader, Luke Beardon, for the first time then. This began an abiding interest in autism. I went on to obtain a Masters in Autism and PhD at SHU with Luke as my academic supervisor throughout. During one of the lectures in Sheffield I came to a very sudden realisation that I may be autistic myself. I was subsequently diagnosed with AS in my mid-fifties. I was made redundant by the Met at age 55 and, rather than look for another job in risk management, decided to see if it was possible to work full-time in autism. For a while it was, but the squeeze on local authority budgets forced me into a ‘portfolio’ career (I also prepare book indexes and teach English to Spanish and Catalan speakers here in Barcelona). All my research is focused on matters of practical benefit for autistic people, and I advocate for and support autistic adults. My intention is to keep working in autism for as long as I am physically and mentally able to do so. Despite having had an enjoyable earlier career, nothing has meant more to me than working with other autistic people. My daughter was diagnosed with Asperger Syndrome on the day after her 5th birthday. It didn’t come as a huge surprise, as I had some awareness already, but her diagnosis catapulted me into an all-consuming quest to learn more – I became quite insatiable in my drive for better understanding of autism. I was fortunate to access many NAS courses while they were widely available locally – and free! I went on to complete autism courses with the Open University, the ICEP, and then the PGCert in Asperger Syndrome (now autism) at Sheffield Hallam, which is how I came to know Nick and Luke and subsequently other members of the HA research team. My topic was focused on the specific difficulties of females on the autism spectrum, including poor chance of diagnosis, due to their often different presentation, and the historically male-centric skewing of the diagnostic process. During reading many publications by autistic female authors such as Rudy Simone, Jennifer O’Toole, Gunilla Gerland, Donna Williams, Tania Marshall, a lot of bells started to ring in my head, not just about my daughter, but about myself as well. As part of my quest for better understanding, I joined various online support groups, for parents of children on the spectrum, and also for adults on the spectrum, although the latter I initially joined as platforms to launch a survey. I now spend a lot of time as administrator on some of these groups, and I set up my own group for people who live with both autism and hypermobility/Ehlers-Danlos Syndrome. There is frequently a link between the two, which is now becoming better researched and understood. In a previous life I was a civil servant, and then an IT analyst, and once spent a sort of gap year working with racehorses and show jumpers! 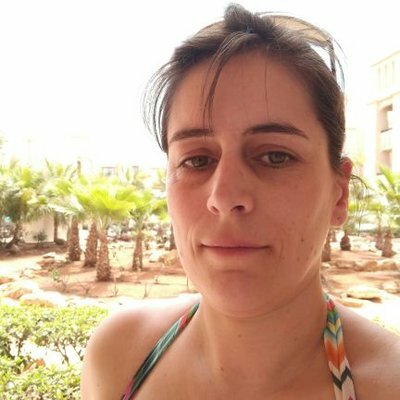 My name is Marianthi Kourti and I am currently a PhD researcher at the University of Birmingham in the School of Education, and part of the Autism Centre of Education and Research. 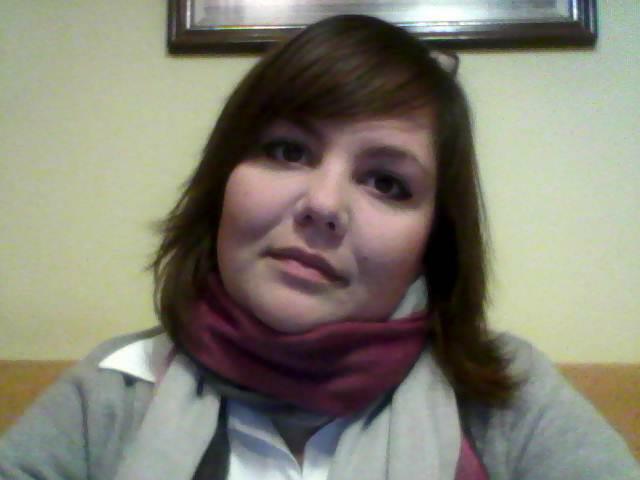 I did my undergraduate studies in Greece, where I am from, and I studied Special Education, focusing on autism studies. During my four-year degree, which included various courses and several conferences and workshops on autism, I learned very little about autistic people who are considered more able and practically nothing about girls, women and individuals with gender identities other than cis-gendered male. After graduating, I had to support some students at school who did not fit the descriptions and did not respond to the methods I learned in university, so I decided to do some further research, which eventually led me to discovering my own autistic identity. I have since dedicated my work to bringing to light the needs and identities of less visual autistic individuals, such as women and girls and people with non-binary gender identities. I have completed my MEd on autism at the University of Birmingham, during which I focused on the experiences of autistic women diagnosed in adulthood and I have since proceeded to follow up some of the findings of my previous research regarding how autistic women, girls and individuals of non-binary identities form and experience their gender identity. I am passionate about making autism and neurodiversity research a space where autistic voices are heard the loudest as well as a place where every autistic person, regardless of their other identities and beliefs feels represented. I am also passionate about intersecting autism research with other social research traditions such as feminism, gender studies, race studies etc. which will lead to further examination and understanding of autistic individuals as persons, and the autistic identity as a lived experience in order to improve outcomes for those on the autism spectrum personally, professionally and get them recognized as a social group whose voices have been suppressed and systematically ignored. I’m currently doing my PhD (a socio-legal study of the Mental Capacity Act 2005) at the University of York. I am also a tutor at ACER – the Autism Centre for Education and Research, University of Birmingham – and have experience as a research consultant, including for the Autism Education Trust. My professional background is in advocacy, and I have a strong commitment to autism advocacy, and to its potential to support our communiities. My commitment to autism activism and politics is rooted in a focus on community building and strengthening. I care about how we can support each other, to go beyond finding a place in society, and to use our autistic ways of being in order to make our mark on the world and to change it for the better – not just for ourselves, but for others who experience the oppression of society’s normative expectations. I care about research because I recognize its power to shape and influence our experiences – from the hurt and shame of seeing our ways of being described as “unhealthy” or “abnormal” to the thrill of connection when we read our lives in the words of others. And the power of finding our history and our politics – The Social Model, ‘Nothing About Us Without Us’ – Independent Living, Disability Rights – and, of course, Neurodiversity. How they were fought for and the strategies used. We need that. We can learn from that. These are our tools. When I graduated in Law, just over a decade ago, people asked if I was interested in doing a PhD. I was – I love learning, I love thinking and I love writing. I could think of nothing I’d rather do. But then I thought about what they said I’d need to do to apply, and I thought about what I “knew” about autism, and I was sure I couldn’t do it – too “inflexible”, needed “too much support”, not “independent” enough. So I walked away. This is why I care passionately about #autisticsinacademia – about visibility and about (supported) aspiration. I want autistic people to be able to reach for the stars, and to have the community strength around them to support them. To me, this is Autistic Pride, and it matters. Catriona’s doctoral research focused on girls with Asperger syndrome and anxiety; findings from her study were published in Good Autism Practice May 2012. 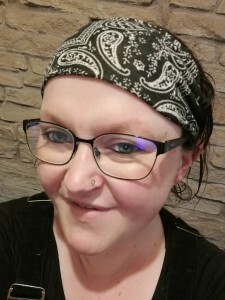 In 2012 she co-founded peer-support and knowledge exchange organisation, SWAN: Scottish Women’s Autism Network, which gained charitable status in 2016. SWAN has presented 3 ground-breaking Learning Event seminars at Strathclyde University and in 2016 was shortlisted for a National Diversity Award. 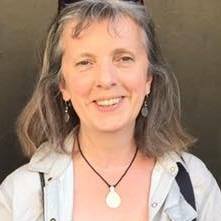 Catriona is on the Autistic Advisory Panel of research project, the National Autism Project, (NAP) and is one of their Expert Advisors. 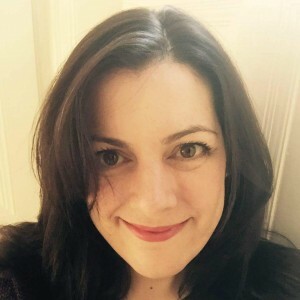 She has presented to many events, including the Scottish Autism Strategy Research Seminar series, Glasgow 2014; Shaping Autism Research UK, 2015, Edinburgh; TAE project, Birmingham 2016; Autism Europe Congress, Edinburgh 2016; NAS Women’s Conference, London 2016; Globalisation of Autism London 2016; Advancement in Women’s Studies, Toronto, 2017. Catriona’s research on autistic mothers was presented to IMFAR 2017. She is Academic Advisor to the development of Scottish Autism’s Right Click programme for women and girls and is now working full-time within the charity’s research team as an Autism Advisor. I started investigating the experiences of Asperger girls and their mothers in 2006, when no one else’s attention was focused on autism in girls and women at all and it was on the basis of that research SWAN was founded 5 years ago. I am committed to the lived experience as valid data and the authentic autistic voice. My PGDip in Gender Studies has helped to frame and give voice to what I view as an interesectionality of autism and gender – girls and women as a marginalised group within a marginalised population. The major transitional life experiences of puberty (in girls), pregnancy, childbirth, motherhood and menopause, for example, have been up until now, overlooked. The work I am doing with my colleagues at Scottish Autism’s Centre for Practice Innovation on the Right Click programme has started to address some of these issues and I’m hoping the Women’s Research and Exchange Network (WREN) will help to build on a constructive narrative of autism in girls and women, with research that is focused on improving, not just our knowledge base, but people’s lives. 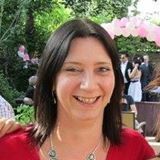 Tracy Turner is researching a PhD on the worklife experiences of autistic women at the University of Hertfordshire. 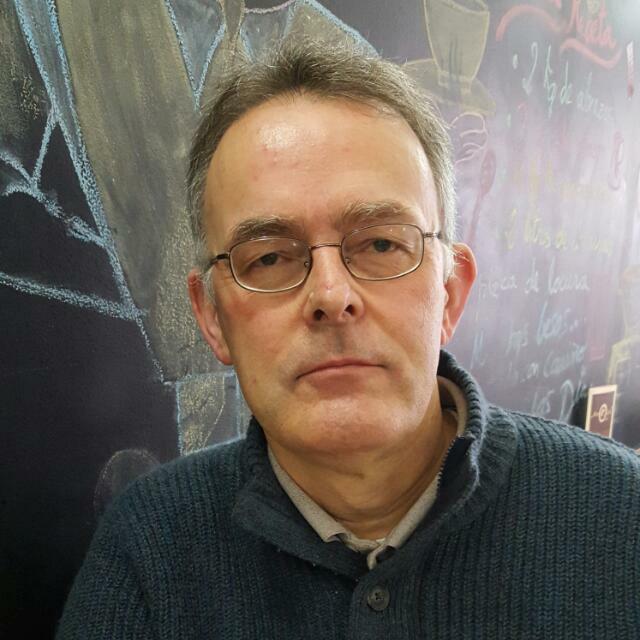 I have spent all my working life in the voluntary and public sectors, latterly working as a consultant and Visiting Lecturer at the University of Hertfordshire. My son was diagnosed with Asperger Syndrome as a teenager. Following postgraduate study on autism I became very interested in the employment experiences of autistic people. The National Autistic Society suggest that only 16 % of autistic adults are in employment, yet it is clear that this figure significantly underestimates actual employment, as there are likely to be large numbers of undiagnosed adults, especially women in the workforce. Autism is diagnosed significantly more often in men than in women (Werling and Geschwind, 2013). Average estimates suggest a ratio of 4:1 men diagnosed to each woman (Christensen et al, 2016). Researchers and clinicians increasingly describe how autistic women carry out camouflaging activities to mask their autistic behaviours or presentation (Lai et al, 2016, Dean et al, 2016), perhaps enabling them to function more effectively in the workplace. 35 women have been interviewed for my research, ranging from women at the start of their careers up to women approaching retirement. The research suggests that diagnosis has had a major impact on the women in the study, enabling them for the first time to understand their own identity and adapt their working lives to their autism. Many women have been stigmatised and ‘othered’ in the workplace, and many have raised being bullied at work. Whilst some women have negotiated the workplace fairly successfully, having had the opportunity to play to their autistic strengths, a number of women on the other hand describe a pattern of having undertaken numerous short-term roles, leaving them feeling significantly frustrated and underemployed. All seven members of my household are autistic, that’s myself, my husband and all five of our children. When I was first asked to write something about ‘autistic pride’, I took the term literally – that’s what I do – and became stuck. Stuck considering whether it is possible to feel proud to be autistic any more than it is to feel proud to be human. After all, it’s not an achievement, it’s just who I am. 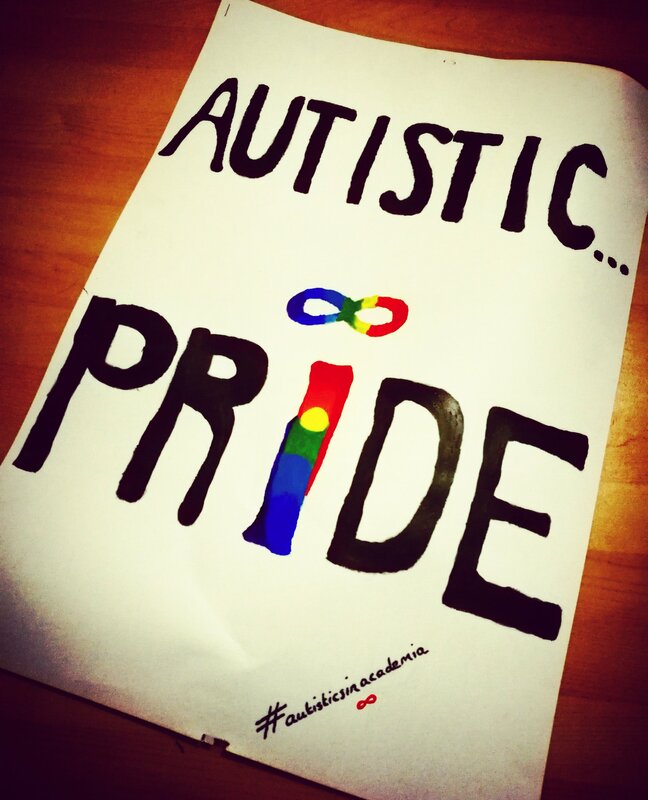 Then it was explained to me – by someone who is less constrained by seeking to interpret the exact definition of every word – my autistic husband – we are all different you see – that autistic pride refers to a celebration of autism and autistic culture, community, and identity. Autistic pride is being unashamed of one’s autistic identity and celebrating what it is to be autistic. In this sense, I am ‘proud’, and yet, until now, have not openly disclosed my diagnosis. I feel no shame in my autistic identity, and yet am concerned about how others might respond to me if they know. I want to continue to be accepted, or not, based on who and how I am, and what I do, not on any preconceived assumptions of what autism is and how I am ‘affected’. Such is my experience of parenting autistic children, and studying and researching autism for the last seven years, that I know only too well the assumptions that are made at a personal and professional level by – often well-meaning – non-autistic ‘others’, who think they ‘know’ autism. So why have I chosen to disclose now? I have begun to realise that non-disclosure can serve to perpetuate the autism myths I so want to dispel. If those autistic individuals, like myself, who can ‘choose’ to, stay hidden – because we are able to mask our difficulties – then there will continue to be less information available to challenge the assumptions people hold about what autism actually ‘is’. Without highlighting the full breadth of the diverse spectrum, autism will continue to be understood as a deficit based diagnosis, rather than a skills-based identity. My children, like many others, display skills. They have difficulties too, mostly created by non-autism friendly environments, but honesty, loyalty, perseverance, humour, generosity, and – as I’m often told – ‘loveliness’, are all qualities I see in them every day, coupled with high levels of academic functioning and ability. My own skill set is harder to share – because the skill of blowing my own trumpet is not amongst them – but, as I am currently writing up my doctoral thesis, I suppose I must accept that I have some. My children’s ‘loveliness’ perhaps suggests that I possess some parenting skills too. Before I understood myself to be autistic I thought I was lesser. Less able to do so many things that to others appeared to come naturally. Now I can appreciate that I am different and, with that knowledge, the feelings of being ‘lesser’ have mostly gone. That is what I would like to celebrate for autism pride. The discovery of an identity that allows me to feel complete. Julia Leatherland is completing the final year of a PhD which explores the school experiences of mainstream secondary pupils with a diagnosis of autism. She has designed and developed a new system to communicate individual pupil’s classroom support needs to teachers via the class register and an evaluation of this system (FAMe™) is an integral part of her PhD. Julia has a BSc in Psychology and started her career as a psychology assistant before becoming a researcher at Sheffield Children’s Hospital and then leaving work to be a full-time parent. Since 2010 all five of Julia’s children have received an autism diagnosis and she has focused on furthering her understanding of autism, completing a Post-Graduate Certificate in Asperger Syndrome, and an MA in autism. She received her own diagnosis in 2016. 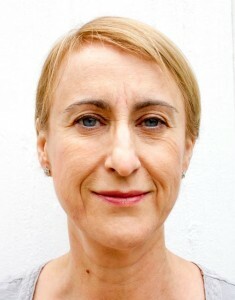 Julia has written and contributed to a number of journal articles and book chapters. 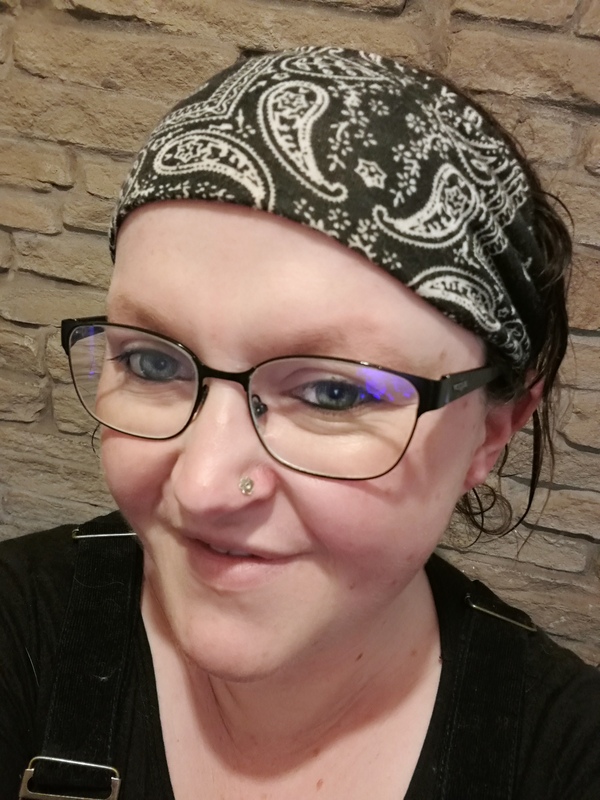 She is passionate about undertaking research in areas considered to be a priority by the autistic population and has a particular interest in education – barriers to learning and successful outcomes; children and young people; and mental-health and well-being. What is the first thing one does when discovering one and many of one’s family is autistic? Well, most people would do some research. Unfortunately this is fraught with danger when it comes to autism. There are so many fallacies and misconceptions all over the internet that it would be difficult to come away from that research not feeling like you are all doomed, your children will be forever unemployed and they need training to be ‘normal’ for them to have any hope. After reading a few dire books and many blog posts (I was yet to discover all the fantastic blogs written by autistic people), I hit the jackpot and accidentally came across the Autism MA at Sheffield Hallam. I sat in my first teaching session within a couple of weeks of enquiring as a new year was just about to start. It all happened very quickly and I had no clue at the time how much I would benefit from the course. It turned out to be a refreshing change from all the negativity and blame to which autistic people and their carers are usually exposed. Some of the most important concepts I have been taught are: critical thinking – the first module is all about critiquing the theories of autism, many of which were new to me; and the social model of disability – this was a revelation and it enabled me to see that my difficulties are not my fault. I have to cope with poorly designed environments and the best way to help myself is to change my environment; and research skills as I am currently doing my first mini research project. Since I started this MA and we got our diagnoses, my family has had to make many big life changes. I think we have made better decisions than we would have if I hadn’t learned to reject the medical model. We will all reap the benefits in the long term. It has been very useful having a supportive network of people around me. I have made many contacts and friends via the masters and online, including other autistic people and people with lots of experience in schools (very useful when your children are autistic). From a professional perspective I don’t have a clear idea what my future plans are but I believe that my qualification will help open some new doors when I am ready to go back to work. I am in the final year (I hope!) of a PhD that has taken me a long time to complete. I’m autistic, but was only diagnosed part way through my PhD. The mix of inaccessible environments and policies, and ableism that I have met in academia has made my PhD a struggle, even though I love what I’m researching. I am studying the experiences of disabled Christians, including a number of autistic Christians. This research is much needed at a time when much of what is written about us by theologians is problematic, and often, so is churches’ inclusion. 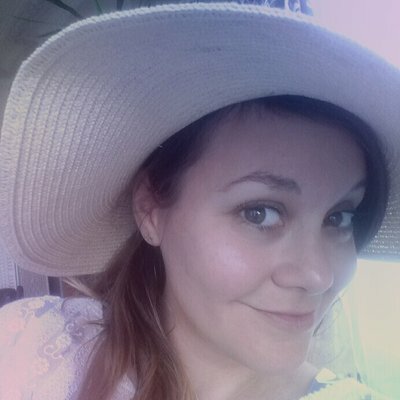 Only this past week, the excellent Ann Memmott (http://annmemmott.org.uk/ ) has been sharing on twitter some sections of a book she’s reviewing on the theology of autism, which has been full of offensive and misleading ideas about autistic people. I hope that the sharing of more stories and ideas shared by disabled Christians themselves, including autistic people, may help in this situation. Autistic people matter, both in the churches, and in academia. Both are places where autistic people are too often excluded, but where much can be done about that, if there is more acceptance and more willingness to work towards real inclusion. There is a sense in which we like to think our destiny is somehow mapped out. The reality is probably infinitely more random! For instance, I used to be a piano teacher (why? Because somebody asked me and it grew until I had 40 pupils a week!). However, as my own wonderful kids / beloved pupils grew up and left for uni etc. I became desperate to fill the gap their presence left, but with what?? I finally gained my maths GCSE. (Now what?) Another maths student suggested we might do A level Psychology (why? No idea… but why not?). And I was instantly hooked – I had no idea then that I might be autistic but the idea that there might be actual, predictable patterns to the way that people behave was both fascinating and soothing. I became totally absorbed and applied for a university place. There I took extra modules, passed with top marks and was offered a funded PhD to look at adolescents and their appearance concerns. Perfection!! Absolutely loved this too – lots of talking with fantastic teens on their recognition that whatever we might say about personality mattering more than appearance, the reality is we judge strangers in a nano-second and there is a strong link between the way others see us and the likelihood, frequency and intensity of subsequent bullying. It became increasingly obvious, linking past research to mine, that bullying about appearance was the most common type of bullying. I felt a strong sense of responsibility to those hundreds of teens who had confided their fears and anxieties to me that I needed to provide some help. I took all the literature and ‘toolkit’ of strategies offered to teens with severe facial disfigurement when they come up against endless and distressing stigmatisation by those who recoil, laugh, patronise them. With this as a basis, between us we devised, experimented and modified strategies that gave us the most self-confidence and understanding. We debunked the myths (bullying makes you stronger / just tell someone and it’ll stop / just ignore it and it’ll stop / bullies have no friends etc etc), and we practised using all the ideas we’d come up with… There were an awful lot of mistakes and a LOT of laughter! But we got there and after sharing the successful strategies with more hundreds of pupils we had our results… Yes, we still got bullied (everyone gets bullied) – but less so and we dealt with it better. Just as important, we were able to ignore the less distressing stuff and knew when it was important to tell others what was happening. It was life-affirming stuff. Years of training teachers and working with classes of kids / often autistic individuals later, it was suggested that I was autistic. This was both a revelation and a relief but I also now wonder if it’s why I always got on so well with / so easily related to teens whose volatile search for a sense of self, in what can feel an alien world with arbitrary rules, so chimes with the world of autistics in a neurotypical world. It’s not that there is anything intrinsically wrong with them or us, it’s just that like innovative, permanently searching teens we currently find ourselves square pegs in a determinedly round world. I consider myself to be part of an ‘autisticly happy’ family, at home we are a family that understands each other and I strongly believe this is because we are in an environment that suits our needs. I served as a police officer with Cheshire police and was retired due to ill-health. After my retirement I entered into education where I completed a HE Certificate in Theology and then went onto to study for a Bachelor of Health Science degree. In 2013 I enrolled on postgraduate certificate in autism at Sheffield Hallam. Upon reflection this is where my journey of self- discovery began. Dr Luke Beardon, Dr Nick Chown, and Dr Damian Milton became my inspiration to continue with my education, offering me both support and opportunities as a researcher. I am a founder member of the ‘High Achievers’ research team that has investigated the support for autistic students at universities in the United Kingdom. I have also acted, as a reviewer for autism research, offering feedback to researchers. My latest review was the National Autistic Society Autism: A guide for Police officers and Staff. I am now studying criminology and linking this to my knowledge and experience of autism and policing. I have been offered a place on a professional Doctorate where my research theme will continue to be in the field of policing and autism. I have been working in academia since 2000, previously as a sociologist, but was made redundant in 2008. This led to my own diagnosis in 2009 at the age of thirty-six, which had followed my son’s diagnosis in 2005 at the age of two. This break from work also led me to return to studying where I completed a Postgraduate conversion diploma in Psychology from the Open University, credits in Philosophy from Oxford University, and a Postgraduate certificate in Education from the University of Birmingham – to add to my Bacheler and Masters degrees in Sociology and my Postgraduate Certificate in Post-Compulsory Education. Finally completing my PhD in 2015 (awarded 2016). Educational progression had not always been an easy process for me though, having had a very poor experience of school life and having withdrawn from my first attempt at both a degree and PhD program. Perserverance furthers however (as my colleague Dr. Dinah Murray often tells me). In recent years I have been involved in a number of projects, from designing materials for the Autism Education Trust, to a project at London South Bank University looking into the potential benefits of mentoring for autistic adults. I currently work for the National Autistic Society (NAS) as Head of Autism Knowledge and Expertise (Adults and Community) and on projects for the University of Birmingham and London South Bank University, but in August 2017 will be starting as a part-time Lecturer post at the Tizard Centre, University of Kent (alongside my NAS work). Currently still full of the enthusiasm of someone at the start of an adventure, I’m beginning my PhD research this year at The University of Brighton. My route into academia was circuitous: Leaving school with top grades but no real grasp of what was going on in the world or how to manage myself in it, I started but then left an undergraduate degree in English and Philosophy at York, and several years later tumbled out of a half-completed midwifery degree with inexplicable ‘seizures’. After some time out to recover and an unexpected stint enjoying a career as a touring musician, I retrained to teach English as a Foreign Language, teaching, for several years, a range of learners from asylum seekers to young teens to international business professionals. This experience allowed me to enter onto the English Language Teaching MA at the University of Sussex, where, now with the benefit of an autism diagnosis and the support that this entails, I was able to thrive. My PhD research has been officially endorsed by the National Autistic Society and will explore what has traditionally been referred to as ‘pragmatic impairment’ in autistic language, attempting to reframe it using a ‘difference-not-deficit’ approach borrowed from contemporary lingua franca research. It will take a critical perspective, challenging ‘norms’ in the measurement of language performance and competence and seek to identify the strategies put into place by autistic speakers to manage the challenges that the differences bring. I’m delighted to have the opportunity to nurture my love of language whilst (hopefully) adding to the growing canon of autism-positive research. What a wonderful community to be part of! I’m 51 years old and have recently been diagnosed with ASD (Asperger profile) and ADHD. This year I started a Professional Doctorate in Health Research at the University of Hertfordshire, researching the lived experiences of middle-aged women (over the age of 40 years old) with Asperger Syndrome (AS) who were diagnosed in adulthood. I am also a proud mother of an eight year old boy who has ASD and severe ADHD as well. I work full-time as a senior scientist at Public Health England on a national survey of people living with HIV/AIDS. I have always enjoyed independent reading and researching topics at home. All my academic qualifications have been completed on a part-time, self-funded basis whilst working full-time as I ‘dropped out’ of school at a young age. 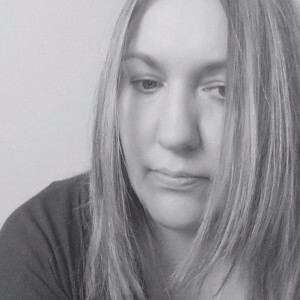 In 1998, I completed my undergraduate BSc Hons with the Open University and went on to do an MSc in Medical Microbiology with the University of Westminster in 2001. During the period of time that my son was diagnosed with ASD, I started to recognise that his movements and behaviour was very similar to mine. I also discovered that there were other autistic adults who grow up undiagnosed at a time when AS was not yet classified. After waiting two and a half years, I have now received my diagnosis. This identification has helped to explain many difficulties (and strengths!) that I have had through the years, particularly in my childhood. Last year, I completed the PGCert in Autism and AS at Sheffield Hallam University which empowered and motivated me to investigate further. The inclusive research that I will be carrying out, as an autistic woman, will be on the enlightened and empowering basis, that autistic people think differently, rather than in an inferior way, to non-autistic people. I am inspired by these posts and lucky to work with fantastic autistic scholars and allies at LSBU and to have worked at Sheffield Hallam in The AUTISM CENTRE. LSBU is where PARC originated and it is such a brilliant supportive community for peer support and emancipatory research. Within LSBU PARC does much to inform the MA Autism Education and the students love being taught by Dr Damian Milton.